The newest member of the Tangerine Exhaust System family is the Tangerine EVO-Six. 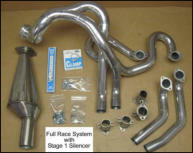 This is a fully tuned header and quiet muffler for a Porsche aircooled 6 cylinder engine installed in a 914. Two sizes to choose from will accomodate engines from 2.0 to 3.6 Liters. Custom hand made to the highest quality standards! Our systems use 16ga. 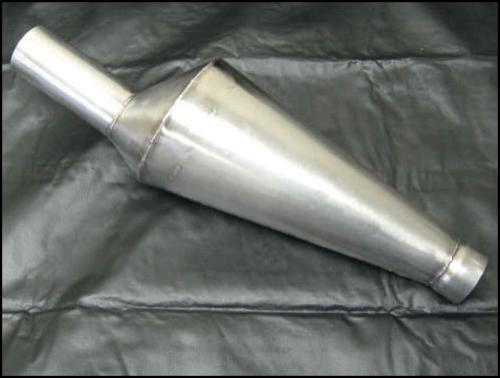 mild steel primary tubes and T304 stainless steel muffler construction for durability and longevity. 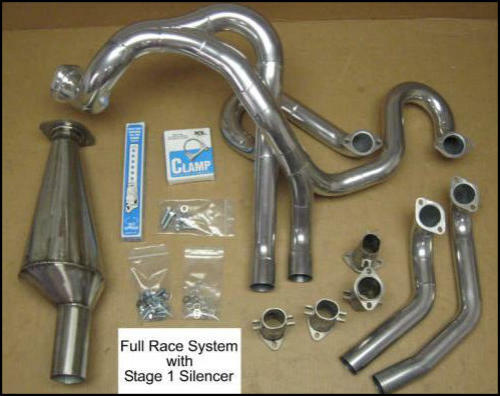 All are lighter weight and easier to install than oem exhaust systems. Tangerine EVO Exhaust Systems offer the ultimate performance for your Type 4 engine, whether you are driving a Porsche 914, 912E, Conversion 356, Speedster Replica, Upright Conversion Beetle/ Karmann Ghia/ Thing! 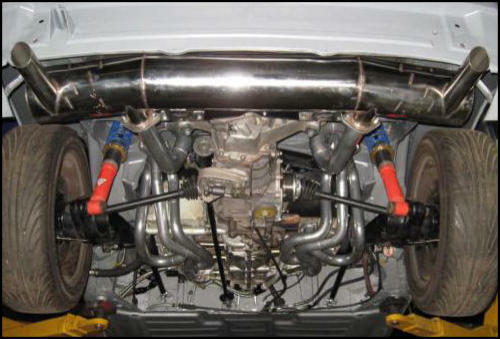 You like heat in your 914 but want a good muffler that is quiet and performs better than stock? 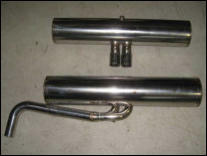 Our 100% stainless Tangerine EVO-IV Silencer mates perfectly with SSI heat exchangers. Available in four outlet styles: Twin Center Tip, Standard Single Tip, Reverse Single Tip, and Dual Tip.